These ring dishes are so cute! 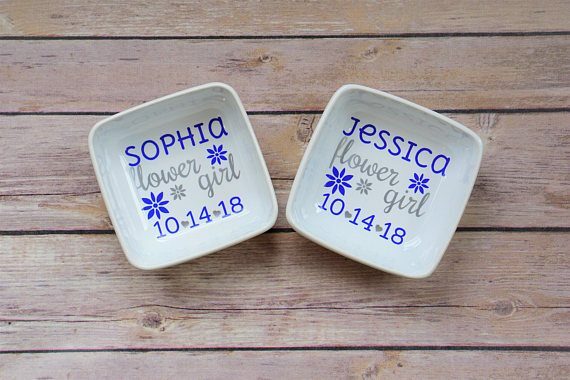 Inside each one, you can customize the writing in any color (to coordinate with your wedding palette) and personalize it with your flower girl’s name. 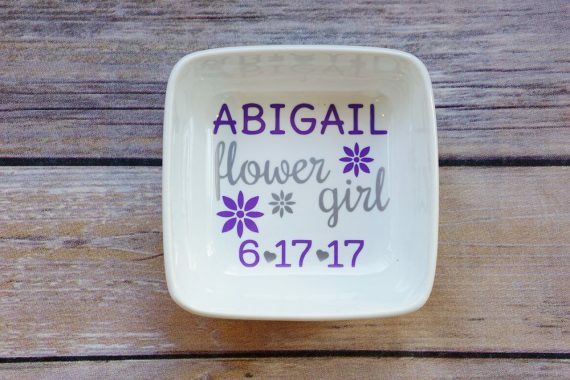 If you’d like, similar ring dishes for your entire bridal party are available with “bridesmaid” or “maid of honor” customization. Each dish is made of premium white porcelain and measures 4″ x 4″ at the top (approximately 3″ x 3″ on the bottom) and 1.5″ tall. 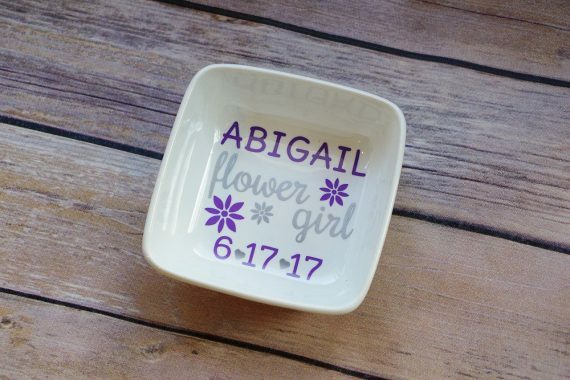 These flower girl ring dishes are the perfect size to hold a small ring, a bracelet, pair of earrings, and a necklace and fits nicely on a bedside table or dresser. If you’d like, put one of these inside as an added gift. 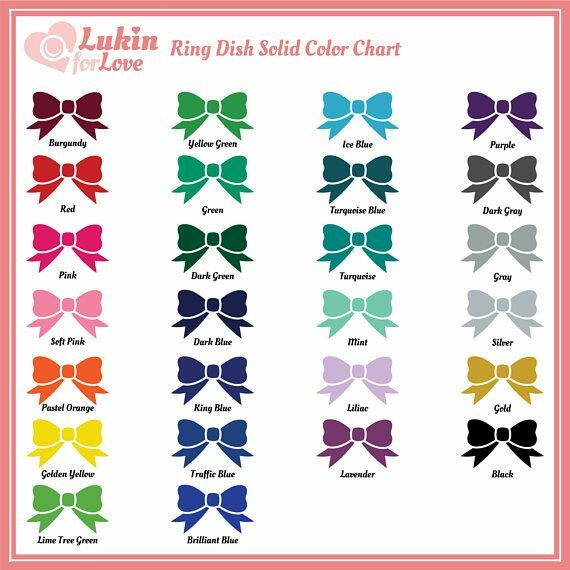 Buy your ring dishes here! As I mentioned, they’re only $10 each! What a steal! You can buy you ring dishes here. Aimee is amazing to work with!